Team Arrow faces off against the Death Stroke Army while rushing to find a S.T.A.R. labs cure for Mirakuru. Thea and Laurel face their family issues. 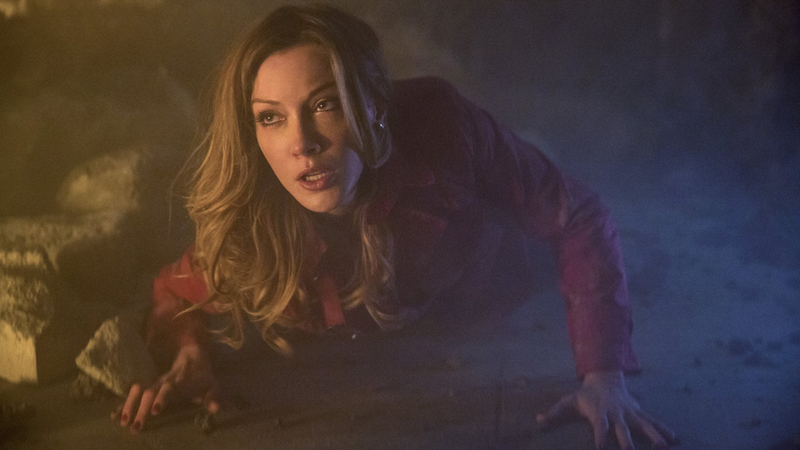 Fresh off the heels of last week’s episode we find Oliver searching for Laurel in the rubble barrier he created between him and the Deathstroke army, as well as Diggle in a fight to the death with a supercharged, pissed off Rochev. We’re treated to a stable in the “Green Arrow” mythos in the form of the explosive arrow, although it’s not Oliver, but Laurel that will be firing it. 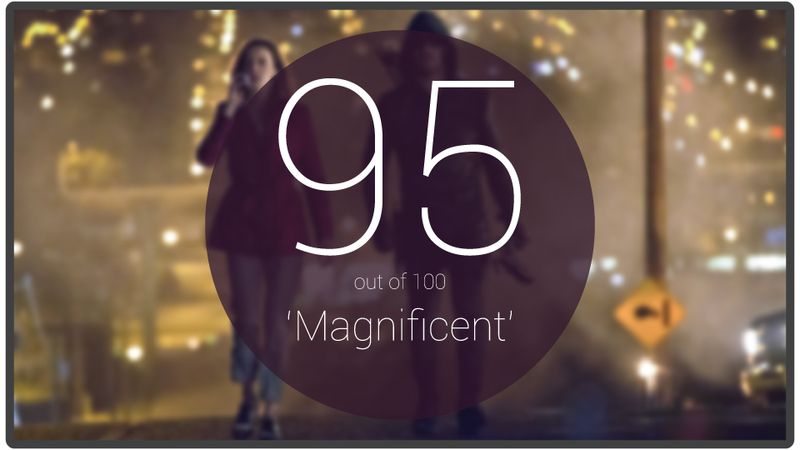 The pacing in the first few scenes between Oliver and Laurel, and Diggle and Rochev work very well. I was wondering how they were going to play with Mayor Blood’s ability to cope with the chaos forming around starling city. Not only his confidence in the situation, but his ability to calm and inspire the District Attorney in helping him “save the city” was a nice touch and adds another feather in the cap of Kevin Alejandro. The “I am your father” shtick has been attempted and parodied time and time again. However, with the groundwork “Arrow” laid in Season 1 and followed up with this season, the train station scene toed the line of yet another orphan story cliché but sidestepped it entirely. “Arrow” turns in another great intro scene. The constant reminder to Mayor Blood that he isn’t actually in control is great. The fear on his face as the DA is killed right in front of him in spite of his direct order for the Deathstroke soldier to cease and desist played very well. There is a point where Sebastian still thinks he is very much in control of his city and is reminded time and again that it’s simply is not the case. Sebastian changing sides and offering to help Arrow was an interesting plot switch. Considering how much Slade had been screwing around with his mind the last few episodes, it only stands to reason that he would eventually figure out his aspirations would be better suited if he aligned himself with Arrow instead of Deathstroke. It was sad to see such a great conflicted character die, but as we all know, people on The CW don’t stay dead all that long. The island clips are always hit and miss, but the back and forth between Oliver and Quentin Lance had some excellent moments this episode. I have long been awaiting his rank as detective to be reinstated and trusted again within the police force, and though it sucked that the chief of police had to die and the city had to be under such stress to see it happen, it was nice to see it all the same. With the exclusion of Roy, each character in this episode was given their own moment in the spotlight, which is exceedingly harder to do with an ensemble this size. It would have been easy to hate Malcolm Merlyn along with Thea, but the pleas of him trying to protect her felt very authentic. Her range and anger in response was just as real. I honestly wish there would be more of a union between Arrow and Merlyn, but we all know that just isn’t how the cards are dealt. The Sara and Laurel heart-to-heart was touching. Sara’s disclosure to her big sister about who she had become, what she had done and how hard she was struggling to reconcile herself to the present was a very sincere one, with the highlight being Laurel’s response saying that these things “Don’t break us, they make us who we are.” For a character that had been struggling quite a lot this past season and a half, it was a fresh breath of air to see her turn in one of the best lines of the episode. A lot of difficult decisions were made in this episode. Oliver deciding whether or not to use the beta cure for Mirakuru on Roy to Amanda Waller deciding whether or not to level all of Starling City to prevent the Deathstroke Army from leaking to the rest of the world. Amanda was very clear about why she felt she had to make the decisions she had to make, and it was nice to see her calculations justified. As I said earlier, each character was given a lot of time to shine (excluding Roy) through in this lead up to the finale. 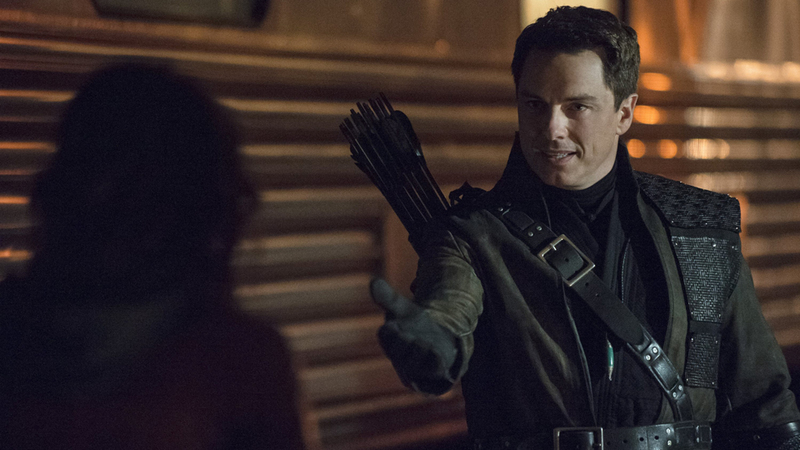 Arrow turns in another magnificent episode, setting the stage for all that is to come in next week’s season finale. I for one am looking forward to how this story wraps up and if we get to finally see The Flash suit up and help out! The ending was abrupt with more than enough cliffhangers. I’m more than excited to see what the Arrow team brings for the final battle. Who dies? Who walks away? We’ll see next week! What are your predictions for next week’s finale? Think we will see The Flash? Let us know in the comments below.